The city is to be the focal point for seventy activities relating to the world of architecture from 10 to 20 May, inviting members of the public to engage with architecture in a relaxed, educational and appealing way. The former Model prison will act as a guest site by playing host to some of the activities in the programme. Architecture Week 2018 is on in Barcelona from 10 to 20 May and is the second edition of an event which is again set to turn the city into the focal point for a wide array of activities relating to architecture and the Catalan capital’s architectural heritage. Following the success of the first edition, and this year within the context of the European Year of Cultural Heritage, Barcelona will again be promoting architecture among the public for ten days and reflecting on how buildings and structures affect people’s everyday lives. This initiative invites people to be part of a 100% architectural experience through films, exhibitions, guided tours, workshops and more. Speaking at this morning’s presentation of Architecture Week, Janet Sanz, Fourth Deputy Mayor for Ecology, Urban Planning and Mobility at Barcelona City Council and chair of the Fundació Mies van der Rohe, noted that the event should serve “to unite architecture, culture and the public” via a programme of activities designed to promote Barcelona’s architecture in a relaxed and informative way. “Architecture is crucial in making progress in the social and environmental construction of the city and ultimately in managing to live better”, remarked the Deputy Mayor. Sanz added that besides its economic importance and its transformational role, architecture also has an almost emotional side to it in the city: “Barcelona’s residents really identify with architecture”. 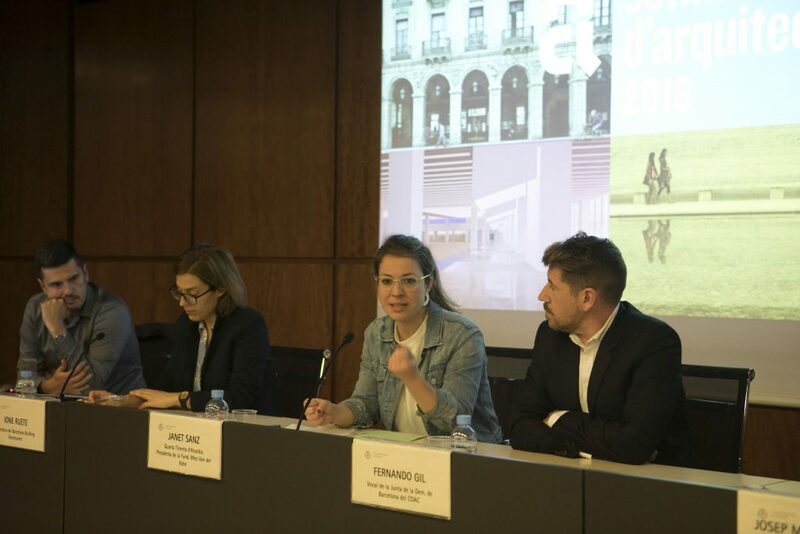 Architecture Week 2018 is an initiative by Barcelona City Council, the Architects’ Association of Catalonia (COAC) and the Fundació Mies van der Rohe, with collaboration from Barcelona Building Construmat and ArquinFAD. In this respect, Sanz highlighted its united character: “It proves the existence of a professional architectural sector in Barcelona which is passionate about its work”. 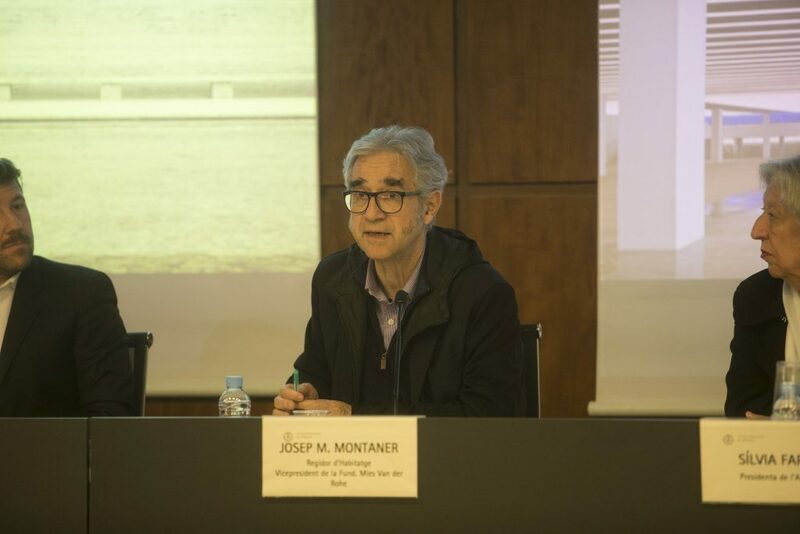 Besides Janet Sanz, and representing the various bodies behind the initiative, the presentation was also attended by Josep Maria Montaner, Councillor for Housing and vice-chair of the Fundació Mies van der Rohe; Fernando Gil, spokesperson for the Barcelona demarcation board at the COAC; Anna Ramos, director of the Fundació Mies van der Rohe; Ione Ruete, director of Barcelona Building Construmat, and Sílvia Farriol, chair of Arquinfad. The former Model prison is the guest site for Architecture Week 2018. During the event, much attention will be given to the physical and emotional impact the use of the prison within the city has had. The site will be hosting activities offering the public the chance to discover the architectural process to transform it. In addition, the entrance yard to the site (C/ Entença 155) will feature an information point for Architecture Week, with full information on the programme around the city. Highlights at Architecture Week 2018 include the Arquitectours, ten itineraries around the city’s ten districts, this year focusing on urban renewal; the BBTalks congress on innovation and urban renewal; the film series Arqu[in]FILM, this year based around the intersection between fiction and non-fiction and the way both perspectives construct urban and architectural narratives; a children’s film series, with the screening of Wall-E and Zootròpolis; the exhibition ‘Vanished Architectures’, a series of works at different points around the city which can no longer be visited either because they have disappeared or because of substantial transformations; the exhibition ‘Contemporary Architecture. Heritage of Europe’, which invites people to look back at architecture in Barcelona and Europe from the last 30 years through the most important projects from the European Union Prize for Contemporary Architecture – Mies van der Rohe Award. Another act being held within the context of Architecture Week is the presentation of the green roof contest by the City Council, offering a look at the winning projects and the start of a new contest for party walls. For detailed information on these and all other scheduled activities go to the Architecture Week website. You can also follow the event via the hashtag #SetmanaArquitectura.